This was a long pending review. 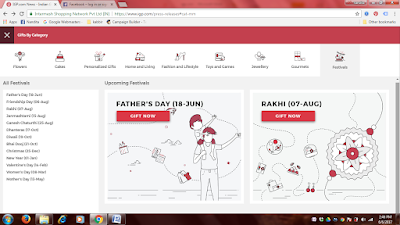 Recently on a recommendation of a fellow mom blogger I came to know about this wonderful gifting portal www.igp.com and being a blogger as well as a gifting fanatic I ordered a gift for my son. We have occasions all the time be it a birthday in a family, an Anniversary , or a festival IGP let’s you choose from wide variety of gifting options and send them directly to the footsteps of your loved ones. IGP has somehow simplified the whole gifting process. 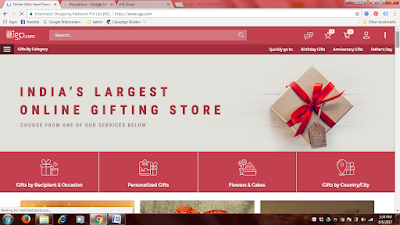 They have already categorized your gifting needs based on occasions, relationships, city, country , personalised and you can even find same day delivery options for perishablegoods like Cake, Flowers, Chocolates etc. I am just not an outdoorsy person and going to the market in this scorching heat is just not for me. Thank You IGP! For taking care of my gifting needs, I could search a gift online through the Mobile Website, paid it online for it, entered the address where I wanted the gift to be delivered and voila! It was packed, sealed and delivered, with a gift card inside letting the receiver know who has sent the surprise along with the discount code which he/she ca use in their next purchase. Since summer holidays are going on, I was searching for Memory Game from Fuskool for my son, which is my all time favorite from my childhood. Thought it will help Kabbir boost his concentration and for once he will have a game which he could play just by sitting at one place even if it could engage him for 10 min’s, which is quite rare with him. I would have been happy. But I just couldn’t find that game anywhere. Here, igp came to my rescue I immediately ordered the game and it arrived in 2 days! The bell rang early in the morning and like any other doorbell Kabbir is usually the first to respond and he went running for the door, though he didn’t open the door but in a way he was there to receive his gift and his excitement went just way up the roof as I handed him his gift!!! We opened the gift immediately and found our memory game. We just couldn’t wait to play with it we also found a gift card inside. It’s been already a week and Kabbir is still enjoying his game sessions with dad and me. Well we have realized he has a very sharp memory and is so confident playing it,matching the cards one after the another. He is already winning from us in every game. Yey! If you go through their website you will see that they have made it quite easy for their customers. Along with the various categories they have already charted out all the Upcoming Festivals, basically helping people like me who have no clue about the next event until the festival is just round the corner and then I go running aroung looking for gifts for family and friends. 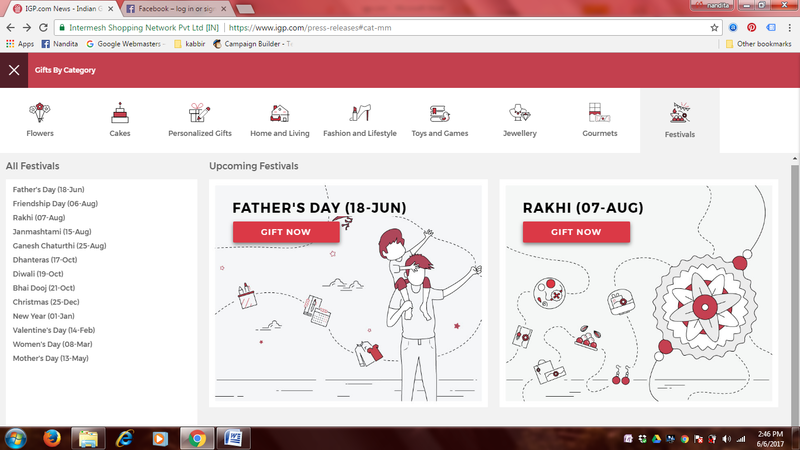 Like, just yesterday as I was going through www.igp.com I realized Father’s Day and Rakhi are coming. Thank God! I was notified early and this time I am quite sure my Brother will receive his Rakhi before hand. Yey! To that…my mom will be so proud. And our Daddy will receive his gift for the first time in last 4 years. If I can give a suggestion to IGP it will be` if they can please sync my entire Facebook friendlist & their Birthdays I will be one happy mom. For once in my life I will be on time to wish or send gifts to my friends who have even stopped complaining that I don’t remember their birthday! I give IGP a big thumbs-up for the variety and the categories they have on their website, it is just so good. Existing gifting combinations or if I can say combo’s are well though-out. 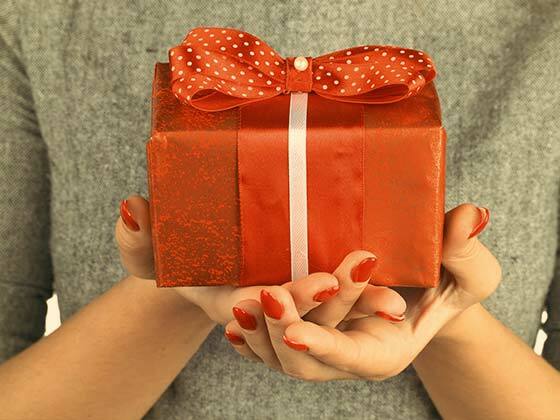 Helping ever busy moms, forgetful husbands, men with no clue, brothers living in other cities or fast paced kids of today save time and the effort to find the perfect gift for their loved ones. 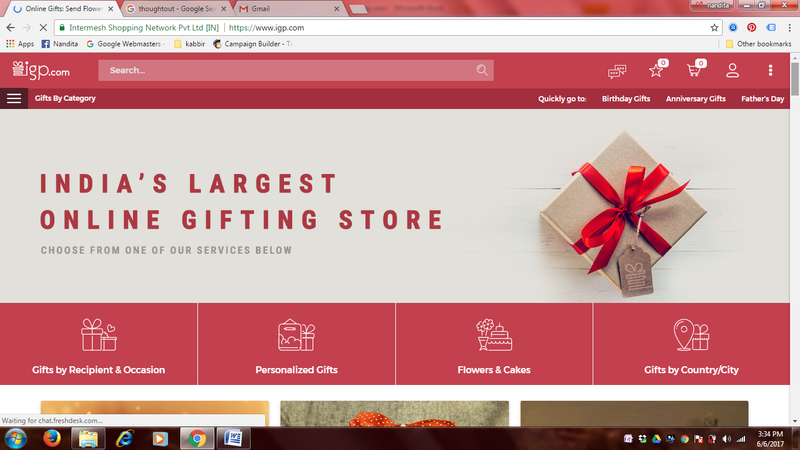 IGP is all you need one stop gifting shop. PS: use coupon code INSTA15 to get 15%off on you shopping.